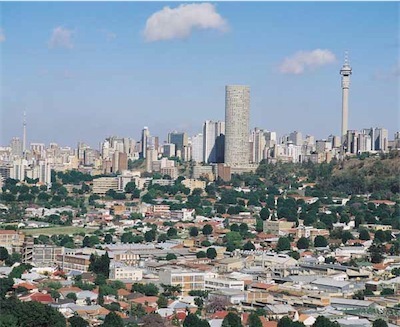 The City of Johannesburg has lost control of town-planning infringements, according to an article published in The Star newspaper at the beginning of February 2013. It seems they simply can’t stop them from happening. In the article, Ros Greeff, the City’s member of the mayoral committee responsible for development planning and urban infrastructure, said that procedures were slow and not working. As a result, she claimed, they were leading to the rapid decay of many areas across the city. This all came to public attention at a public meeting in Cyrildene (one of Johannesburg’s “better” suburbs) where angry residents voiced their concerns at the burgeoning number of building transgressions that have been occurring in the area. According to Ms Greeff, property owners are totally disregarding instructions, including court orders, that are issued by the local authority to stop illegal construction. According to the article, the main concern in this part of the City is the building of additional rooms around residential properties intended to temporarily accommodate Chinese people moving into the country. 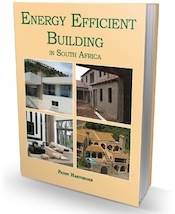 The structures generally don’t comply with South African national building standards (SANS); but worse, they don’t adhere to proper health, sanitary or fire conditions either, and they inevitably cause overcrowding. Both residents and ward councillors say that the City of Johannesburg has done absolutely nothing to stop this. They also maintain that telephone calls and emails that have logged many complaints get no response at all. The current ward councillor for Cyrildene and Bruma, Alison van der Molen, maintains that in her ward alone, 1 200 transgressions of this type have been logged. She has stated on record that not one of these has been acknowledged, and none have been acted upon. The scary part is that in terms of the Municipal Systems Finance Act, the City’s council is obliged to provide feedback to all the complaints of residents. And this is clearly not being done. Van der Molen says that residents and ward councillors have simply been ignored by the town planning department. According to Rob Crawford from the local community policing forum, there have been no prosecutions or demolitions, and absolutely no visible signs of action that would discourage this type of lawlessness. Councillor Carlo da Rochas, whose ward includes parts of Bez Valley, Kensington, Bertrams and Observatory, concurs. He maintains that entire “villages” are springing up in backyards in his ward. As a result he regularly sends photos, reports and e-mails to the town planning department, but never gets a response. Ronaldo Sorban of the Observatory Residents’ Association said that the blight was spreading to his area as well, and yet again, he claimed that no-one was listening to complaints. It’s not all bad though. According to Ros Greef positive things have already been achieved in Cyrildene. For instance, a survey has been conducted and out of 85 properties visited, 32 transgressions were found, 27 of which were illegal accommodation establishments. Of these 22 have been handed over to attorneys for legal action, and two court orders have already been issued. That’s really GOOD news. The mayor of the City of Johannesburg, Parks Tau has asked Ms Greeff to put together a new task team to specifically address this issue. We wish her luck and success in her endeavours. Report him to the local authority – in writing! Do you own a plot Titus? hi we bought a house in cosmo city Ext 5 Jamaica crescent. people are building illegal rooms, they make lot of noise. I regret buying a house in cosmo city. Our municipality is doing nothing about this! !! Perhaps you should take legal action … and/or go to your local newspaper and suggest they do a story. Or contact Carte Blanche. Good luck. Hi Busi, I also stay on Jamaica Crescent Ext 5 and share the same sentiments as you. Follow up meeting is coming soon and the Cosmo Coity Ext 5 Committee will be joining us. We are going to win this war.. This illegal building of rooms is a serious problem. You need to put in a written complaint to the municipality. I live in a complex in Sandton where my next door neighbour has been given permission to rezone and build 4 units on his land and keep his exsisting house. We all opposed this but the council approved it. Now he wants us to sign a form to relax the building lines to 4 meters. My question is what is the normal distance allowed for building lines? Are we forced to accept this like in the case of rezoning – where his application was preapproved even before the Munciple hearing. What happens if we object to the relaxing of the building lines? Building lines are defined a) on title deeds and b) in the zoning regulations of each local authority. In many places it is 3 m. You can object to the rezoning and you can refuse to sign relaxation docs. Quite what will happen I cannot predict. But if you don’t object he will be allowed to do what he likes. Our next door neighbour has erected a braai with a chimney that is right next to our bathroom window. He makes use of the braai at least twice a week and the problem is the smoke comes into our house and smells terrible especially with the old fat smells from previous uses of the braai. The chimney is less than a metre from the boundary wall separating our property from them. Is there anything that can be done about this inconsiderate neighbour and his braai? You must contact the local building inspectors and put in a complaint in writing that they sort this out immediately. Look at our page here: paja-law-protect-rights There is a form that you can download and fill in and submit to the local council. If you do not get any joy then you might have to send the council and the neigbour a lawyers letter asking them to move or demolish the chimney. I will post your Vimeo link on our Facebook page and get more exposure for your situation. Sorry for the late reply. Thank you for your helpful information about who to contact and for giving my situation exposure. Since my first post, we have consulted Mike Spadino the councillor for our area (Kensington) as well as the Department of Environmental Health who have been of no help whatsoever. I will try contacting the building inspector as you have recommended and hopefully we will have better luck there as we have been suffering with this for over 3 years now. Furthermore this neighbour has practically converted his residential property into a farm of sorts with an assortment of animals ranging from 3 geese, roosters, rabbits and 5 dogs – this person gives new meaning to the term nuisance neighbour. Where and who do we contact for illegal development? You must contact your local municipal council planning department and report it to the inspectors there. I Live in Birch Acres Kempton Park, I buld a free standing house on my property, i have sumbimmeted plans but they were not approved, what do i do to get the plans approved? The planning department should have given you a report with your plans and they are obliged to point out where the plans were not acceptable and what you need to do to rectify them. Then you can take them back to your architect/draughtsperson and get them redone. We are in the process of buying property and all approvals have been done.We just need to sign transfer docs and pay the transfer fees. On this property, there is an additional structure that was built and I requested the plans from the owner which he did provide. On close inspection of the plans, I noticed that there is no municipal stamp and the structure is different from the plan. I went to the City council to ask for the plans and they provided me with the plans that they have and the addition that was done was not submitted to the municipal. My question is what do I do now as I do want the property but I need everything to be legal and properly done as I don’t want to incur penalties when the time comes for me to make changes. Israel I presume the initial plans you refer to are ones that were provided by the seller. If so you should notify the seller that you have become aware of the fact that these are 1) not approved, 2) different to what is on site, 3) different to what is lodged with the municipality (if I understand you correctly). Until transfer goes through it is his responsibility to rectify this situation. A house across the road from me has been bought by a Nigerian and he is building lots and lots of little rooms to rent out for accommodation. The builders will not allow me onto the property and they tell me the owner said they are not allowed to tell anyone what they are building. I am sure the building is illegal as the structures are being built right up to the boundary wall on the main street. The owner is never there. How can I pursue this matter? Do I have any recourse? Is there anyone out there who can help? Tee it certainly does sound illegal. Contact the local authority planning department and ask them to send a building inspector to investigate as a matter of urgency. We bought a smallholding in the George municipal area recently. On the property is an old ‘Plettenberg’ caravan that seems to have been there for at least 20 years. The ‘caravan’ is supported by steel jacks and the tyres are still on it, but flat. The caravan does not have any brick or concrete columns or foundation and it is supported solely by the jacks. The neighbour, who has trespassed several times on the property when we are not there (and cannot see the caravan from his property), has submitted a complaint about an ‘illegal structure’ on our property. This was done after I asked him to call his barking and aggressive dog off our property as it was targeting my 82 year old mother while she was walking in our driveway. Subsequently, we received a registered letter from the municipality demanding that we remove it within 30 days. As we understand it, the caravan is not a permanent structure and therefore not illegal. Please can you clarify the law regarding this please? Hi Jane, It all depends on the municipality, some want formal permission for a “temporary” structure whilst others not. The best is to contact them directly and put the case to them. Legally they might have set a precedent by allowing it to stand for so long that you should not need permission, but I suggest that you ask legal advice on that. You can, on the other hand report his dog being a threat and a nuisance. The best way always is to have a meeting with the neighbour and try to sort it out amicably. Report this to your local authority Moises. How can I confidentially report illegal building development in a gated estate and without the regional building inspector becoming involved? Iain you can’t. You need to report the matter to the planning department of your local authority, and they are likely to send in a building inspector to investigate.